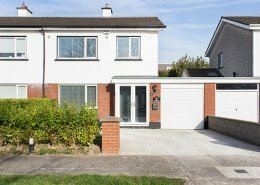 Welcome to RENOVA, Ireland’s premier home renovation and retrofit company. 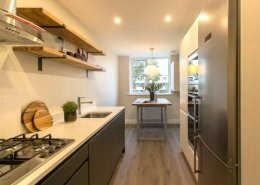 We are the only renovations company in Ireland that incorporate retrofit, renovation and interior design into one complete package. This exclusive 360° renovation package includes plans, construction, finish and interior design. Bespoke renovations, tailored specifically to you. 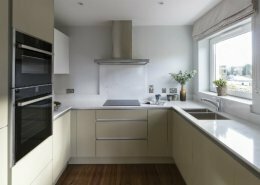 We transform cold, draughty, poorly-designed houses into modern, energy-efficient and attractive homes. We focus on warmth, comfort and energy-efficiency, but we are also passionate about interior design and finish. We guarantee that your home renovation will be completed on time, within budget and without hassle. At RENOVA, we carry out all works using only our own staff and trusted partners. We employ over 30 full-time industry professionals and contractors including technicians, designers, carpenters, foremen, plumbers, electricians and project managers. While a team of hand-picked experts will be assigned to your renovation, you will only ever have to deal with one point of contact from start to finish. Realise the full potential of your home with RENOVA. A RENOVA 360° renovation will improve your quality of life, increase your home’s energy performance, transform your home’s appearance and raise your property value. Get in touch to discuss your renovation. Book an appointment to visit our showroom. Meet with our quantity surveyor at our showroom where you can: browse technical and interior design displays; direct your questions to renovation experts; and get an initial cost estimate for your project. We have everything you need under one roof, including answers for your questions. Find us in Kilcoole, near Druids Glen Golf Club. Showroom visits are by appointment only – phone 01 2021122 to book a visit. 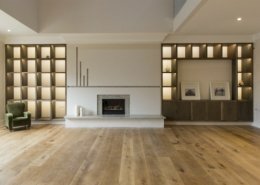 At RENOVA, we have assembled a team of tradesmen and professionals that are dedicated to providing the best renovation service in Ireland from design, through to implementation, to final handover. Any Questions On The Service We Provide? 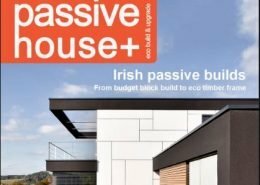 Extend or Optimise your Home? https://www.renova.ie/wp-content/uploads/2015/10/ventilation-feature-image.jpg 317 843 John Martin https://www.renova.ie/wp-content/uploads/2015/03/Renova-Website-Logo.jpg John Martin2018-02-14 19:05:372018-02-23 13:35:35Extend or Optimise your Home?